I want to share one of my finding on Paypals X.com which I have reported to them in 3 January 2013. 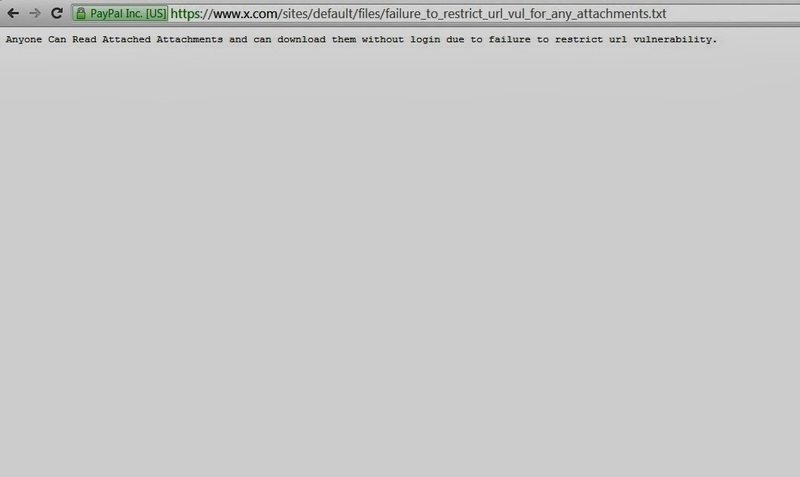 I have found that Paypal X.com following Url https://www.x.com/sites/default/files/failure_to_restrict_url_vul_for_any_attachments.txt was vulnerable to Failure to Restrict Url Access Vulnerability as the email Attachments Url can be accessed without Login or Authentication nor there was any Authorization check or prevention to mitigate this attack. Impact: Using this Failure to Restrict Url Access Vulnerability an attacker can easily Read & Download all the private email attachments without logging and all the X.com users were vulnerable to this attack.